The pictures do most of the talking showing the beautiful rosewood graining. 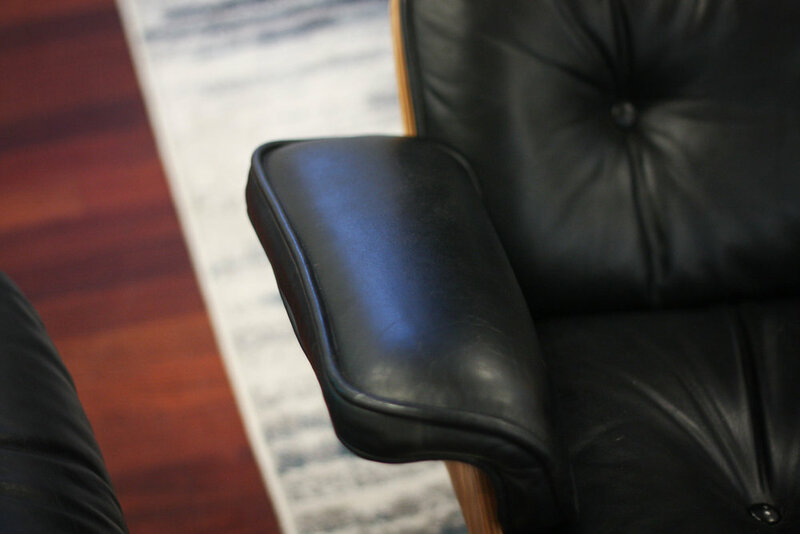 The black leather is soft, supple, and in phenomenal condition. 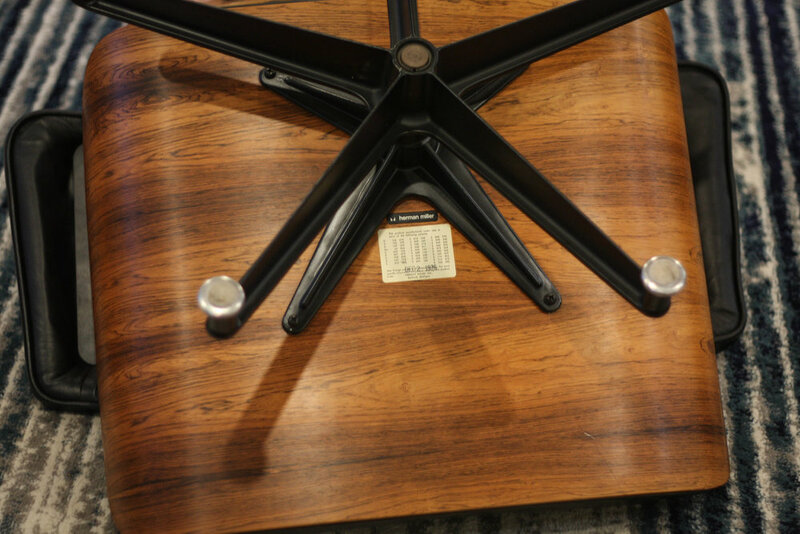 Herman Miller label on the bottom of the chair and ottoman date this set to December 1976. 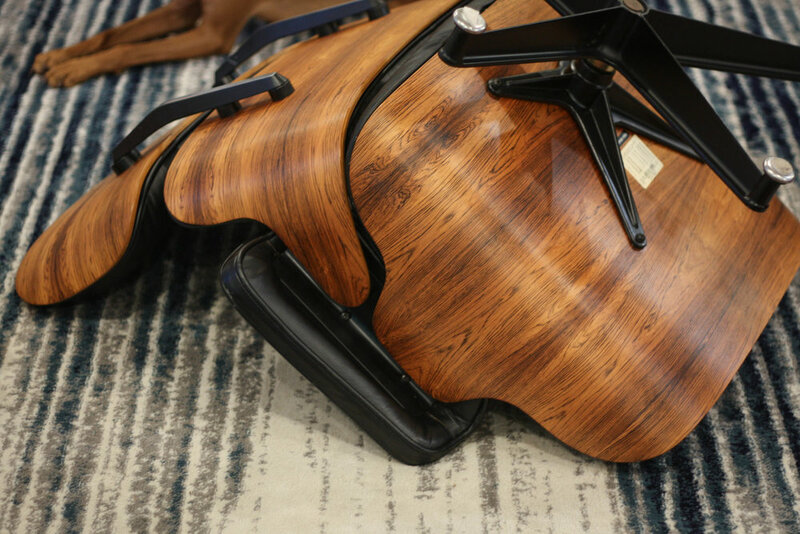 Check out the pictures to see how stunning this chair is and to get an idea of its near perfect condition.